Manufactured for specific purposes, hoses and pipes are not interchangeable. Although two black rubber hoses may be the same size and have a similar appearance, they have different purposes and specifications. Substituting a similar-looking hose without ensuring it meets the required specifications virtually guarantees issues with the system and possibly even engine damage. 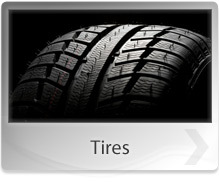 Count on the auto part professionals at Cook's Auto Service and Parts to help you find the correct replacement part. For your car's A/C to allow the free flow of the coolant, its hoses should be in perfect condition. An A/C hose in perfect condition should be flexible and should have metal clippings to prevent leakages. Driving a vehicle with an air conditioning system that is not functioning properly is an unpleasant experience. Whether your A/C hoses have cracked, have leaking joints or are completely worn out consider having them replaced. 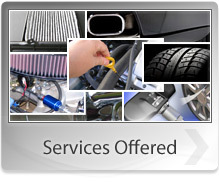 For all your A/C hose replacement needs, count on Cook's Auto Service and Parts in Dalzell, SC 29040. Call us or visit us today. Your vehicle's cooling system has several hoses connecting its components. At Cook's Auto Service and Parts we carry a wide selection of hoses and can order anything we don't have in stock. When choosing hydraulic hoses, remember the correct length, size and vacuum ratings are critical. Hydraulic hoses of the wrong size will lead to insufficient pressure and thus poor performance. For all your hydraulic hose needs, call or visit Cook's Auto Service and Parts today. 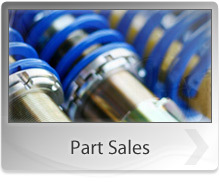 We offer a wide range of hydraulic fittings, adapters, and couplers for your vehicle. Transmission hoses are built to withstand high pressure and harsh chemicals that other hoses cannot handle. At Cook's Auto Service and Parts we carry a wide selection of hoses and can order anything we don't have in stock.